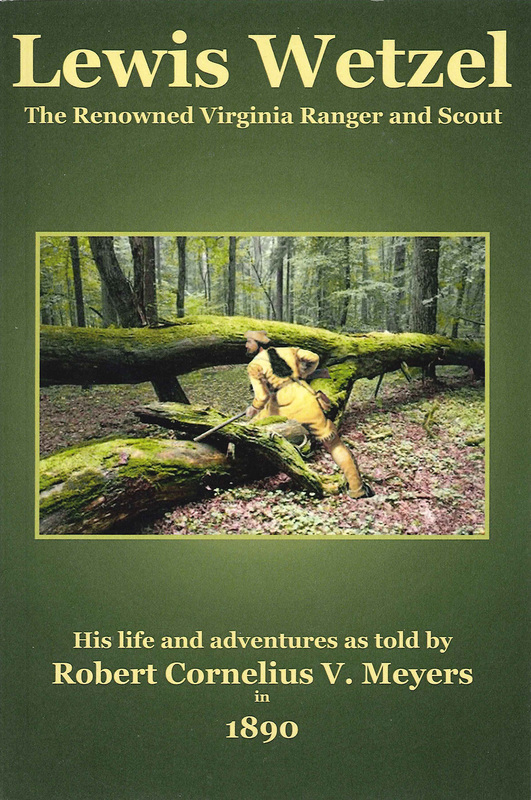 LEWIS WETZEL, The Renowned Virginia Ranger & Scout His life and adventures as told by Robert Cornelius V. Meyers. The author has done extensive research into boarder life, early warfare, and frontier living. He has consulted with many experts and used many original resources to tell the story of Lewis Wetzel in a very readable, almost novel like form. He has remained neutral in the controversy that surrounds Lewis Wetzel as far as was he a hero or a villain and lets the reader decide.